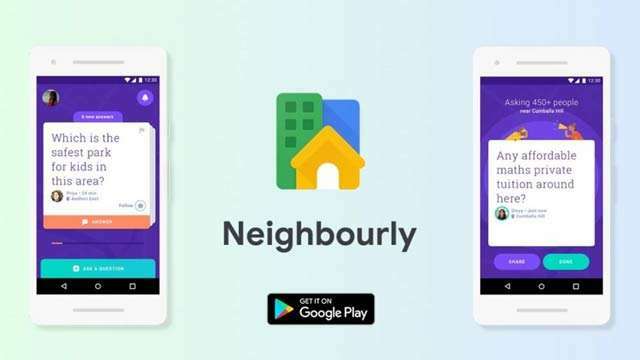 Tech company Google launched the Neighborly App. With this app, users will be able to get information about them. This app was first introduced in Mumbai. This app was first introduced in Mumbai. This was followed by a rollout in Jaipur. After this, it was rollout even in Jaipur. After Jaipur, it was introduced in Ahmedabad, Coimbatore, and Mysore too. Now it has been started in Bengaluru and Delhi too. Ben Fahner, senior product manager of Google's Next billion users team, said that Google is going to be activating this app at the national level. Here we are telling you how to use it. Learn how to use Neighborly App? 1. First of all download and install the Neighborly app on the Google Play Store. 2. After installing, tap on Done in the screen which will open. After that open the app by going to the main screen. 3. After the app opens its interface will be something like this. Here you will find the option of Find Local Questions. Tap on it. 4. Now you will be asked for some permissions. Allow them After this your area around you will be detectable. Here you will find the option of Continue name, click on it. 5. Here some users will have questions about the area around you. You can answer them. You can also ask questions as well. 6. The list of answers to these questions has also been given here. 7. Here you can add more than one Neighborhood too. Let us know that this app will also be started in Chennai, Hyderabad, Pune, and Kolkata in the coming weeks. So far, these apps are available in seven cities of India.